Are Bobbleheads the New Craze at Parties? 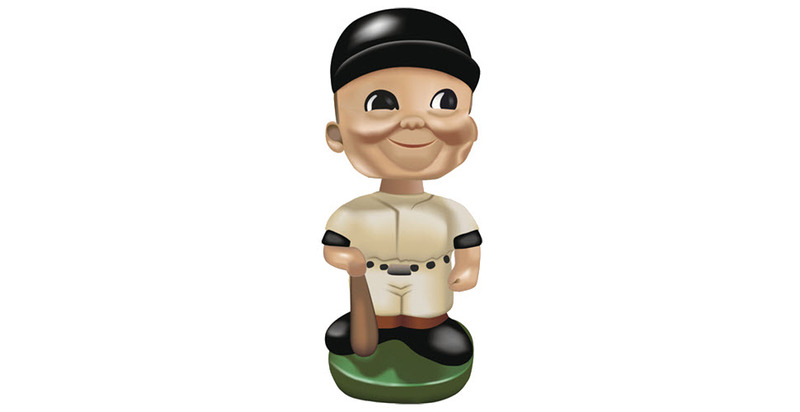 Bobbleheads have been traditionally used as comedic depictions of athletes and celebrities. However, the very first bobbleheads appeared all the way back in 17th century Asia, depicting religious figures such as Buddha. Their popularity in the Western world initially surged in the 1960’s with pop culture icons such as the Beatles, Mickey Mantle and Willie Mays. The popularity of bobbleheads remained stagnant for decades until the late 1990’s. In 1999, the San Francisco Giants were the first Major League Baseball team to conduct a bobblehead giveaway, handing out 35,000 of Mays at a single game. By 2002, Post Cereal packaged 22 million mini-bobble heads of baseball players into their cereal products. They are now commonly distributed at professional baseball games as promotional gifts. The trend expanded beyond baseball as bobbleheads started being issued for a variety of public figures. Audi used an Elvis bobblehead for their European commercials in 2001. An American Law Journal titled The Green Bag has even been producing bobbleheads of United States Supreme Court Justices since 2003, including current Justices and those who have served in the past. What is a Personalized Bobblehead? These days bobblehead production isn’t limited to baseball players or rockstars. Nearly every figure of pop culture has one, even the obscure. During the Valentine’s Day episode of The Office, Angela gave Dwight a bobblehead as a gift. 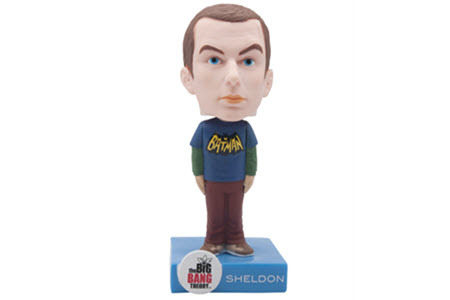 Now that the hit NBC show is off the air, there are bobbleheads for sale online depicting every character. For many people, their favorite bobblehead isn’t anyone famous. It is often themselves or their children, as personalized bobbleheads are rapidly rising in demand. Personalized bobbleheads feature a picture of your face in the head which is placed on a custom ceramic or plastic body of your choosing and design. If the bobblehead treatment works for the stars of a baseball game, then can works for the stars of a party! There is a current explosion of bobblehead popularity that is being recognized nationwide. January 7, 2015 was the inaugural National Bobblehead Day. Also in 2015, a Pope Francis bobblehead was released, and was in such high demand that it resulted in a nationwide shortage. By 2016, the National Bobblehead Hall of Fame and Museum opened in Milwaukee, Wisconsin, and part of the celebration included the largest display of bobbleheads in history. The largest single bobblehead in history stands 15-feet tall, according to the Guiness Book of World Records. That record also coincides with the modern trend, as it was set in 2016. Their collectibility, popularity, small stature, and humorous personalized appearance all contribute to the bobblehead’s appeal as a party gift. Customized bobbleheads are a fun and unique way to preserve memories of a party while ensuring your guests have a good laugh. In addition to party gifts, bobbleheads can also be implemented as party decorations. Create a display of bobbleheads designed after the guest of honor, the happy couple getting married, a high school or college graduation, or even as a gag for a bachelor or bachelorette party. Speaking of The Bachelorette, bobbleheads have even appeared on ABC’s popular show by that name. In 2012, a gentleman presented custom bobbleheads of himself and the bachelorette in an attempt to win the competition, and her love. Where Can I Purchase Personalized Bobbleheads? Creative Event Services has risen to the occasion, offering a multitude of unique options to accommodate any bobblehead party needs, whether that means a few decorations or enough bobbleheads for every guest to take one home. Creative Event Services produces high-quality ceramic bobbleheads, as opposed to cheaper substandard plastic options. Among the choices are firemen, policemen, cheerleaders, prom king and queen, baseball players, football players, and more. Each figure stands 6.5 inches tall, the size of traditional collectible bobbleheads. This makes making them small enough to easily transport from the party but large enough to notice on display back at home. If you’re looking for a way to add some personalized spice to your party plans, consider what a personalized bobblehead can do for you. From decorations to party favors, these fun toys can bring your event in Boston, Hartford, or New York to the next level!